The main difference between quinoa and rice is that quinoa is not a grain, but the seed of the goosefoot plant whereas rice is a cereal grain. Furthermore, quinoa is a source of complete protein while rice is a source of incomplete proteins. Moreover, quinoa contains a low amount of carbohydrate and is a good source of a low-carb diet while rice has been a primary source of clean carbohydrates for years. Quinoa and rice are two types of food which can be used mainly as carbohydrate sources in meals. Their differences in the nutritional value make them suitable for different diet plans. Quinoa is the seed of the goosefoot plant. It is prepared and eaten just like grains. Quinoa contains a higher amount of proteins: 8 g per cup. Also, it is a source of complete protein. That means; the quinoa contains all the nine essential amino acids. Therefore, it is a great option for vegetarians to fulfil their protein requirement. More significantly, quinoa is rich in micronutrients including iron, calcium, magnesium, potassium, phosphorus, manganese, zinc, and selenium. Also, quinoa is rich in folate required for DNA synthesis and brain cell communication. Furthermore, quinoa contains a lower amount of carbohydrates: 39 g per cup. That makes it a good source for a low-carb diet, which is a key factor for weight loss. However, the amount of fiber in quinoa is less, which is 5 g of dietary fiber per cup. One of its another drawback is the comparatively higher amount of calories. There are 222 calories per cup of cooked quinoa. 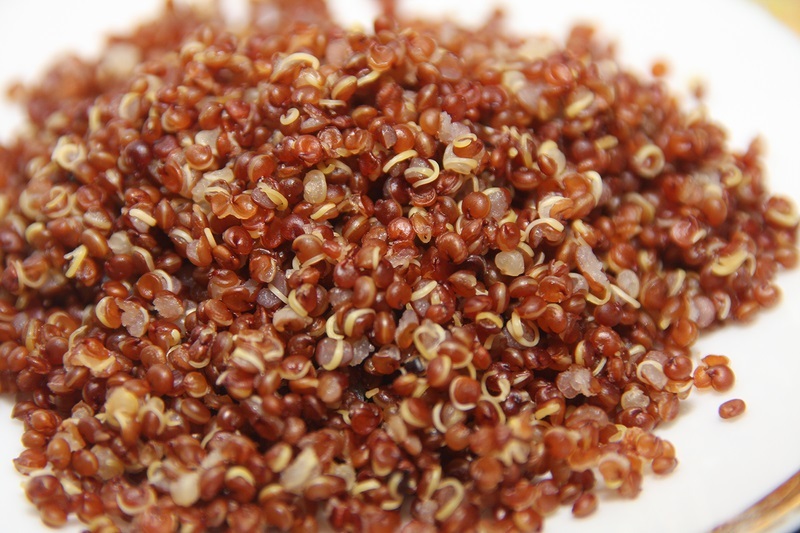 Nevertheless, quinoa beats other cereal grains like rice in many aspects. Therefore, it is a good substitute for rice. Rice is a cereal grain obtained from the seeds of the Asian swamp grass, Oryza sativa. 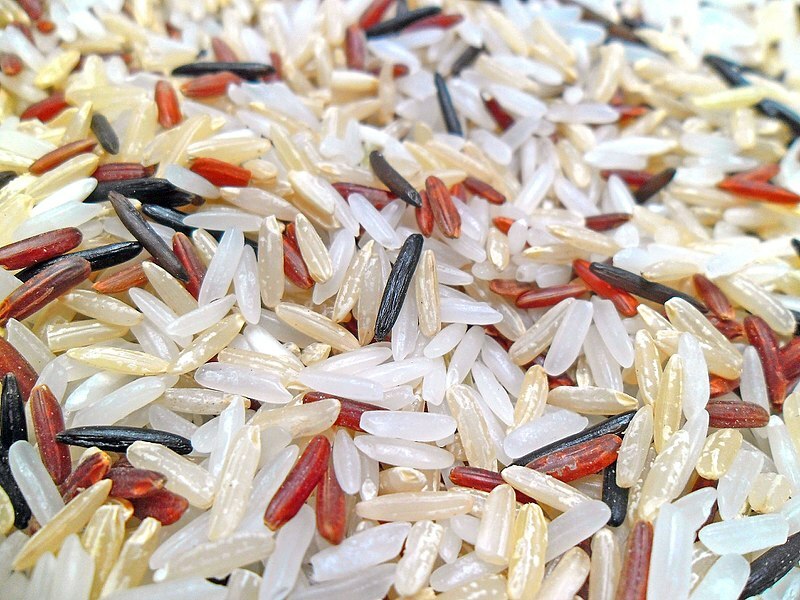 The two main varieties of rice are white and brown rice. Brown rice has their husk removed while in white rice, all the husk, bran, and the germ have been removed. 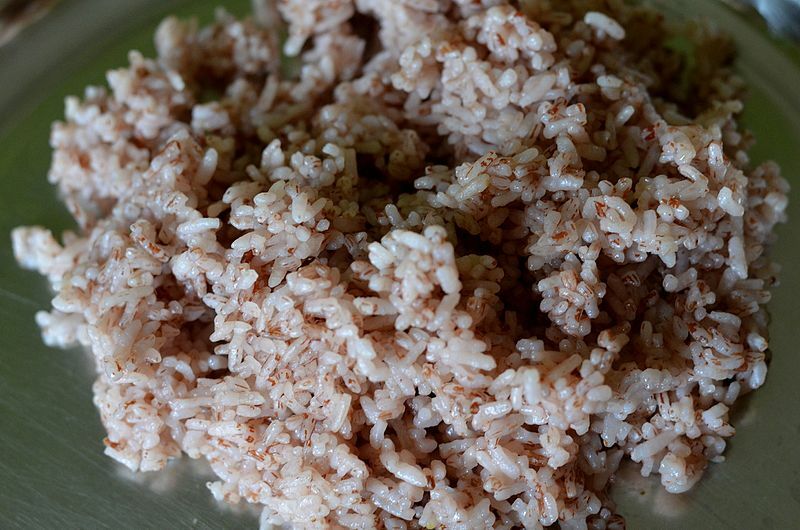 Therefore, only brown rice retains its fiber and nutritional value. However, both varieties of rice can be considered as a clean source of carbohydrates. Generally, a cup of brown rice contains 45 g of carbohydrates. In addition, a cup of rice contains 6 g of dietary fiber. That means; the rice is rich in fiber as well. Usually, fiber improves digestion, keeps the digestive system full for longer, and increases the amount of good bacteria in the gut. Therefore, it reduces the risk of diabetes. Significantly, rice contains a fewer amount of calories: 218 calories per cup. That makes it a good choice for diet. However, it is not a good source of proteins since a cup of rice contains only 4-5 g of proteins. Also, rice is a source of incomplete proteins. Additionally, brown rice is a good source of micronutrients such as magnesium, phosphorus, manganese, and selenium. However, it contains a lower amount of calcium, copper, and zinc. Furthermore, rice is rich in niacin, the vitamin, which boosts blood flow, supports nerve function, and nourishes the skin. Quinoa and rice are two sources of carbohydrates. Also, both contain some amount of proteins. Furthermore, both are rich in fibers. Additionally, both are rich in other micronutrients as well. Moreover, both of them are grainy and gluten-free. Besides, both are annual plants. Quinoa refers to the edible, starchy seeds of the goosefoot plant widely cultivated prior to the introduction of Old World grains while rice refers to the starchy seeds of an annual southeast Asian cereal grass cooked and used for food. Thus, this is the main difference between quinoa and rice. Quinoa is the seeds of the goosefoot plant (Chenopodium quinoa) while rice is the seeds of the swamp grass, Oryza sativa. Also, quinoa is cultivated in the Andes while rice is cultivated in warm climates of Asia. An important difference between quinoa and rice is that quinoa is not a grain while rice is a cereal grain. Another difference between quinoa and rice is that while quinoa contains slightly a higher amount of calories, rice contains a lower amount of calories than quinoa. Moreover, quinoa contains a higher amount of proteins while rice contains a lower amount of proteins. Furthermore, quinoa is a source of complete protein while rice is a source of incomplete proteins. Hence, this is a major difference between quinoa and rice. Quinoa contains a lower amount of carbohydrates while rice contains a higher amount of carbohydrates. Thus, this is also an important difference between quinoa and rice. Besides, fiber content is another difference between quinoa and rice. Quinoa contains a considerable amount of fiber while rice contains slightly a higher amount of fiber. Quinoa contains a higher amount of micronutrients while rice contains a considerable amount of micronutrients. One other difference between quinoa and rice is that quinoa is rich in folate while rice is rich in niacin. 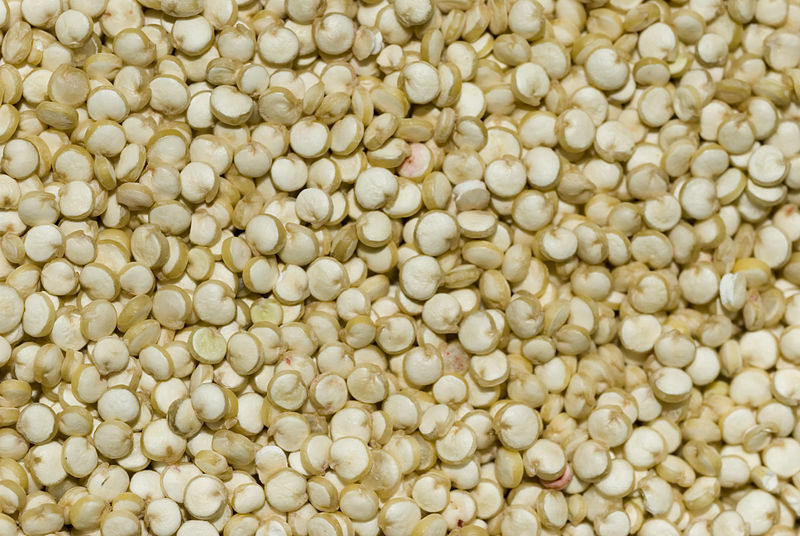 Quinoa is the seeds of goosefoot plant, mistakenly considered as a grain. It is a rich source of complete protein and micronutrients including iron. But, it contains a lower amount of carbohydrates. On the other hand, rice is a common type of cereal grain and is a good source of carbohydrates and fiber. However, due to the lower amounts of carbohydrates present, quinoa substitutes rice in low-carb diets. Hence, the main difference between quinoa and rice is the nutritional value.